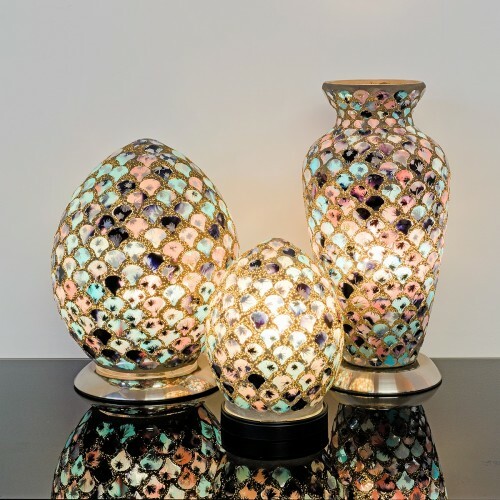 A beautiful piece of lighting that lightens up the room and the occasion with its unique sense of style from the first glance. 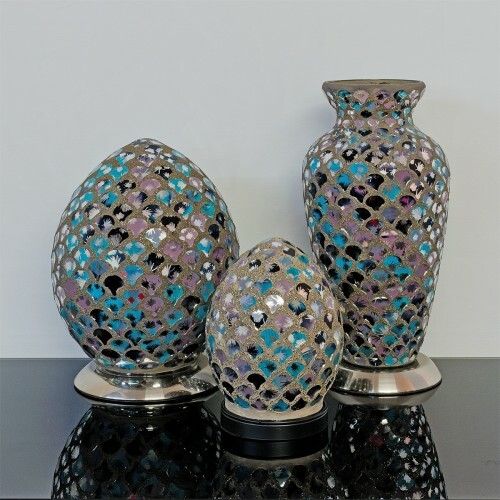 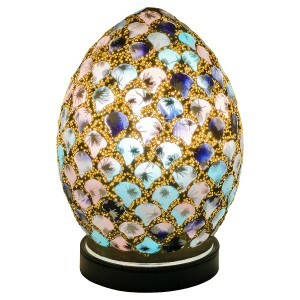 The Mosaic Egg Lamp gives a soft mood light while creating a magical atmosphere and adding a romantic feel to any room. 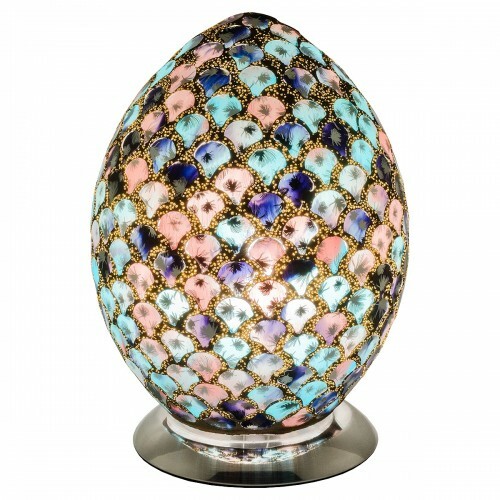 Each Lamp is hand blown decorated glass. 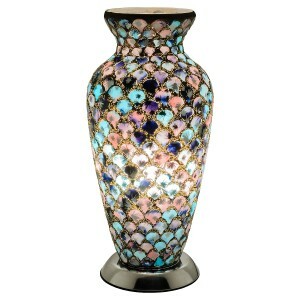 This lamp would be an asset to any bedroom or living room or make a great gift for someone special. 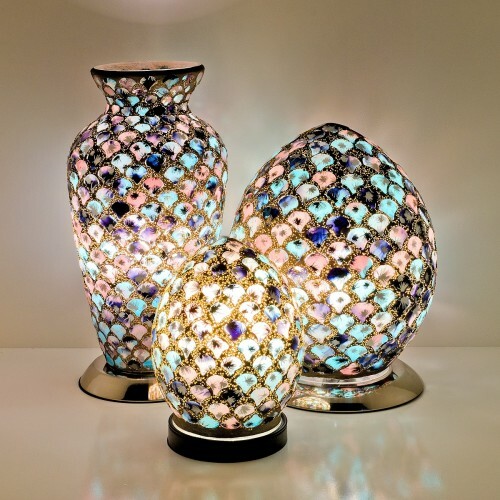 They look just as fabulous switched off too!